I-5 was shut down in a section through Pierce County after two crashes. The Washington State Patrol suspects that drugs or alcohol were involved in both crashes. One driver on I-5 southbound hit multiple cars, killing a passenger in one of them. Another driver crashed through some orange construction barrels, then hit another car near the scene of the other accident. Both of the at fault drivers were arrested for investigation of driving under the influence. One man was killed in a crash on Interstate 82 in Prosser. His vehicle crossed a “center skip line” before striking another vehicle, leaving the road, and rolling. Investigators are looking into whether drugs or alcohol were factors in the collision. There were five occupants of the other vehicle; none reported injuries. 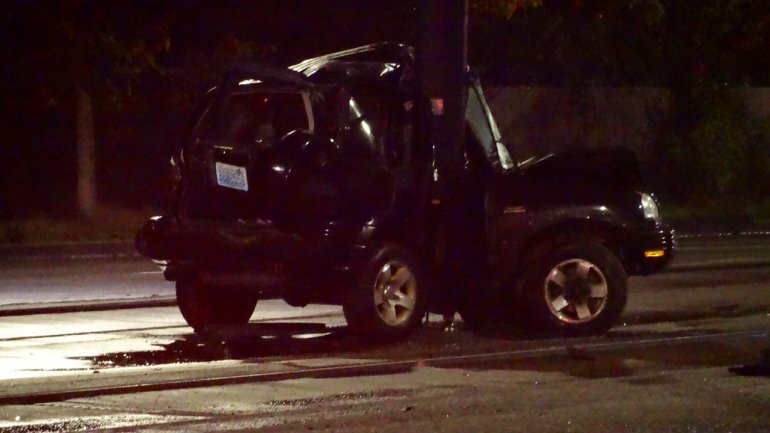 Police are investigating the circumstances of a crash in Everett on Friday evening. A 29-year-old driver lost control of his vehicle, which rolled over and caused a chain reaction crash on the highway that involved a total of six vehicles. Two people sustained serious injuries after a single-vehicle crash on I-90 near Ellensburg. According to the Washington State Patrol, the 18-year-old driver fell asleep at the wheel early Saturday morning. Her Honda Passport veered off the road, rolled over multiple times, and landed on its roof. The driver and her passenger were both transported to Harborview Medical Center in Seattle. Police suspect that drugs or alcohol may have been a factor in the collision, and they plan to ticket the driver for second-degree negligent driving. An 89-year-old driver sustained serious injuries after a 17-year-old driver struck his vehicle while he was turning. The older driver was transported to Providence Regional Medical Center in Everett. Police are investigating the circumstances of the accident. A teenage driver who was traveling at high speed while fleeing from police crashed into a home in Centralia. The driver died at the scene, and two women who were passengers in the car sustained severe injuries. The driver was wanted on a probation violation by the State Department of Corrections. No one who was inside the home at the time of the crash was hurt. The driver of a speeding car died after crashing into a power pole on Martin Luther King Jr. Way in Seattle. The force of the impact was so high that the car, an Acura Integra, was town in half. The deceased driver was a man in his 20s. Police are still investigating the cause of the crash, and have asked witnesses to call 206- 684-8923. One man was killed and a second sustained critical injuries in a two-car accident on State Route 221. The accident happened after one vehicle crossed the center line and struck the other as it was traveling in the opposite direction. Investigators are looking into the circumstances of the accident. They do not believe that drugs or alcohol were involved in the crash. A man sustained serious injuries in a bicycle accident after being struck by a car on a highway on-ramp in Lacey. The accident occurred early Tuesday morning. Police are investigating the circumstances of the crash and have not yet stated why the cyclist was traveling on the on-ramp. An 11-year-old boy was struck by a car while crossing the street in Renton. According to the boy’s mother, the woman behind the wheel got out of the car, swore at the boy, and then drove off. Fortunately, the boy did not sustain serious injuries, and a friend was able to carry him out of the road. Police are searching for a white vehicle, possibly a Subaru. Two vehicles, one of which was a police cruiser, collided on Thursday night in Seattle’s Beacon Hill neighborhood. No injuries were reported in the collision. Light rain service in South Seattle was stalled by a crash that blocked the tracks. One car was involved in a car accident near the Rainier Beach Station; emergency responders found it wrapped around a pole. One occupant of the vehicle sustained serious injuries and was transported to the hospital.